The Wasatch Front Regional Council (WFRC), in close collaboration with the Utah Department of Transportation (UDOT), Utah Transit Authority (UTA), Utah League of Cities and Towns, and Utah Association of Counties, invites you to provide feedback regarding transportation projects in the Wasatch Choice 2050 (WC2050), a vision for the future of our region. In 2017, cities, counties, community organizations, transportation partners, businesses, and the public explored three scenarios that articulated the trade-offs associated with different transportation, land use, and economic investments for the WC2050 Vision. Feedback was used to distill the three transportation and land use scenarios into a Draft Vision, which was endorsed by the Regional Council in 2018. The Vision provides a blueprint for the prioritization of roadway, transit, and active transportation projects in the 2019-2050 Regional Transportation Plan (RTP). The RTP projects were initially planned based on need, as defined by a number of criteria, such as development patterns, system efficiency, economic development, access to job opportunities, and safety. The needs-based projects are now being prioritized based on reasonably anticipated available funding, a process known as financially constraining the RTP. WFRC and its transportation partners developed the draft financially constrained RTP through identification of transportation funding sources dedicated to the costs of constructing, maintaining, and operating the multi-modal transportation system over the next 30 years. WFRC needs your input again to refine and finalize the financially constrained Draft 2019-2050 RTP. We invite you to provide your feedback on the proposed timing of the transportation projects via an interactive map. Comments will be accepted during the public comment period, which continues through Nov. 30, 2018. If you have any questions, please contact Jory Johner, Long-Range Planning Group Manager, at JJohner@wfrc.org or 801-363-4250. WFRC participates in many active transportation planning efforts, understanding that travel choices are critical to maintaining and building an efficient and integrated transportation system for the region. West Valley City is currently undergoing a planning process to recommend and implement additional bicycling and walking facilities throughout the City and wants to hear from you! 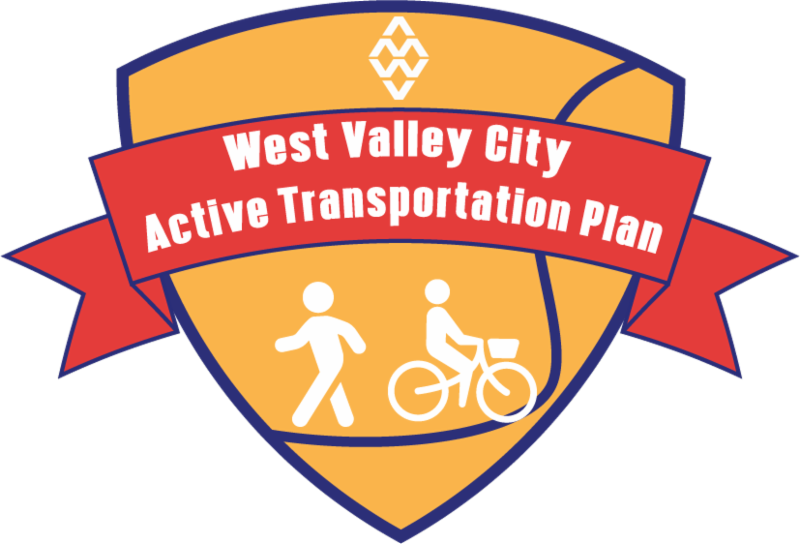 The West Valley City Active Transportation Plan, a 2018 Transportation and Land Use Connection (TLC) project, will serve as a guide for the implementation of a cost-efficient, practical, and usable active bicycle and pedestrian network. Do you know of an intersection that could use better lighting? Can you think of a road that would be nice to ride on if it had a bike lane? West Valley City wants to know what biking and walking improvements you would like! Please provide your comments, ideas, and suggestions on the online project comment map. The TLC program is a partnership between the WFRC, Salt Lake County, UDOT and UTA and agency representatives are engaged in this project by serving on the steering committee. 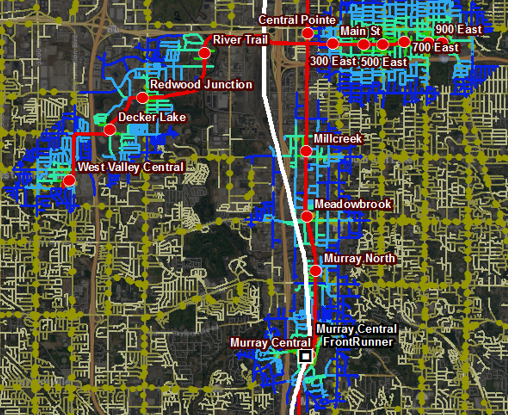 The Federal Highway Administration recently awarded UDOT and its partners — WFRC, Mountainland Association of Governments, and UTA — grant funding to build and maintain a geographic information system (GIS) network analysis dataset capable of calculating travel sheds for bicycles, pedestrians, transit, and mixed-mode travel. The goal of the Measuring Multimodal Network Connectivity Pilot project is to periodically bring all of these layers together into a cohesive multimodal dataset. The dataset will be used to identify transportation gaps and issues for use in prioritizing enhancements to the system, particularly for non-vehicle-only modes. The major tasks include building the mode-to-mode connectors; densifying bicycle/pedestrian paths around key destinations, campuses, and rail stations; building both shortest path and quality-weighted impedance (travel cost) values; automating the process to assemble future updates; and performing analysis to inform project selection and prioritization. Anticipated project completion is the summer of 2019. It is very rewarding to receive feedback from members of the community who use and enjoy the facilities that many people and organizations work together to build over the years. Recently we received an email from Jeff Page, a life-long road and mountain cyclist who broke his neck in 2015. Now Jeff is an avid quadriplegic hand-cyclist who lives in West Jordan, but travels all over the state in search of fun bicycle trails. On October 13 and 20, Jeff and his friends completed the Provo to Salt Lake Valley and Ogden to Salt Lake Valley portions of the Golden Spoke trail network, respectively! The Golden Spoke offers over 100 miles of safe, connected, paved trails from Provo to Ogden, and is the longest continuous, multi-use urban trail network this side of the Mississippi. After riding the trail, Jeff determined that the Golden Spoke network is perfect for him. 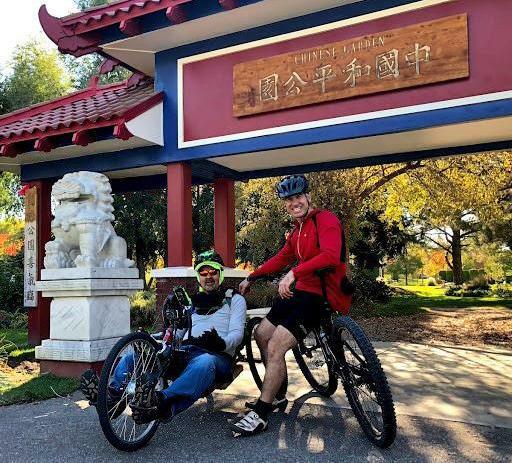 "As a quadriplegic on a handcycle, these trails are awesome and I’m grateful for them." Next year Jeff plans to ride the entire Golden Spoke trail network in one ride! However, he agrees with other cyclists regarding the puncturevine issues. It would be awesome if the communities are able to rid the trail of these rotten weeds! Robert Grow, Founding Chair Emeritus and Chief Executive Officer of Envision Utah, and Professor Reid Ewing, Director of the Metropolitan Research Center, who serve on the Wasatch Front Regional Council and Regional Growth Committee, respectively, have each been recognized with impressive awards. 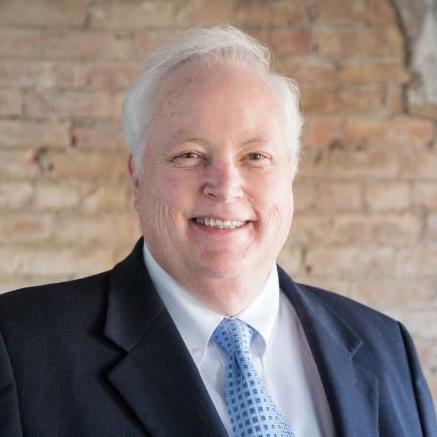 Robert Grow was recently named one of the national “Leaders for a Livable, Equitable and Sustainable America,” presented by Partners for Livable Communities, a Washington-based nonprofit. This honor is part of the “Celebrating Champions of Livability” national awards program, recognizing 23 individuals, four organizations and two communities for their role in shaping a more livable, sustainable, and equitable America. The award recognizes individuals who embody the many elements that define livability in American communities. 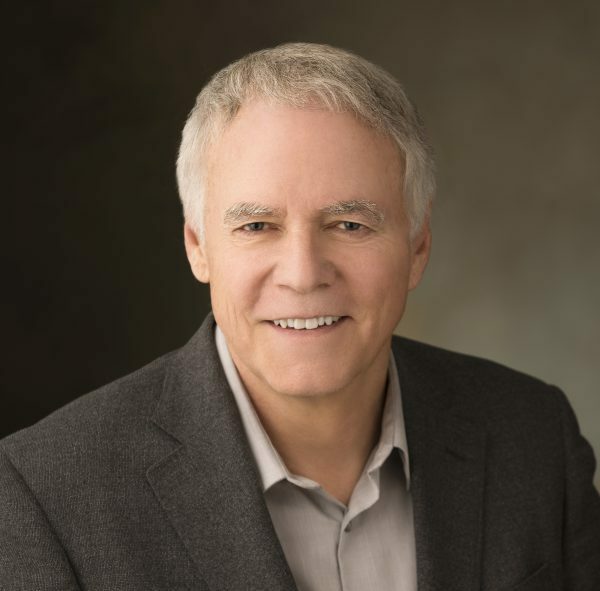 Professor Reid Ewing was recently recognized as one of only six new Distinguished Professors at The University of Utah, and will serve as the Distinguished Professor of City and Metropolitan Planning. According to The University of Utah, "the rank of Distinguished Professor is reserved for selected individuals whose achievements exemplify the highest goals of scholarship as demonstrated by recognition accorded to them from peers with national and international stature, and whose record includes evidence of a high dedication to teaching as demonstrated by recognition accorded to them by students and/or colleagues." WFRC is grateful for both Robert's and Reid's enduring contributions to planning, as well as the service they offer to WFRC and our region. Congratulations Robert and Reid!